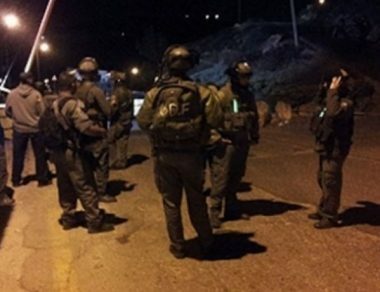 Israeli soldiers abducted, on Wednesday evening, a young Palestinian man from the al-Yamoun town, and obstructed traffic at Haifa Road, west of the northern West Bank city of Jenin, and at Qabatia Junction, south of Jenin. Media sources said the soldiers invaded and searched homes in al-Yamoun, and abducted Aneed Adel Hamdiyya, 34. 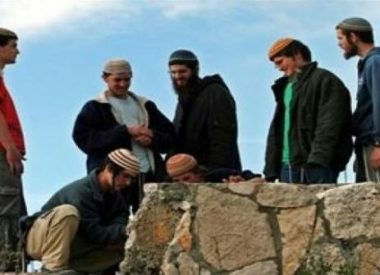 They added that the soldiers also invaded and ransacked the home of a political prisoner, identified as Bajes Hamdiyya. In related news, the soldiers installed a military roadblock near Kafr Dan village, and at Qabatia junction, before stopping and searching dozens of cars, and interrogated many Palestinians while inspecting their ID cards.